The K450FX gives you 3 independent stereo channels, each with separate Volume and FX Send controls, plus an additional XLR mic input on Channel 1 for the direct connection of a dynamic microphone. So, if you’re the kind of keyboardist or drummer with multiple instruments at your disposal, the K450FX is ready to handle up to 3 independent signals. 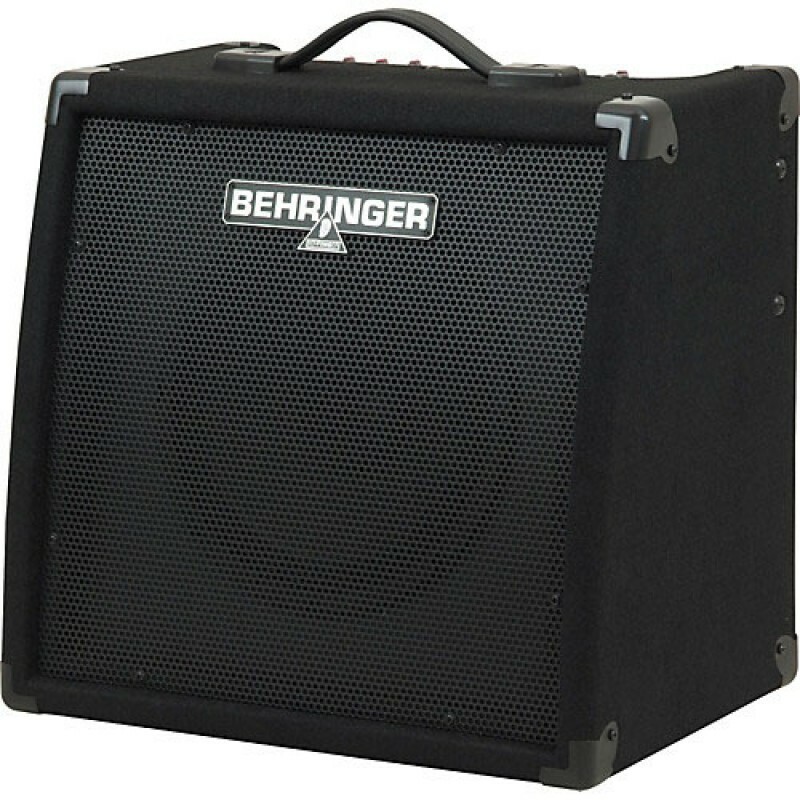 It is also ideal for use as an all-in-one solution for keys and vocal applications. The Master Section provides separate controls for FX Return and Master Volume. A stereo Aux Input allows you to play recorded music through the K450FX during performance breaks, or just for playing along. A separate headphone output is perfect for quiet practicing. 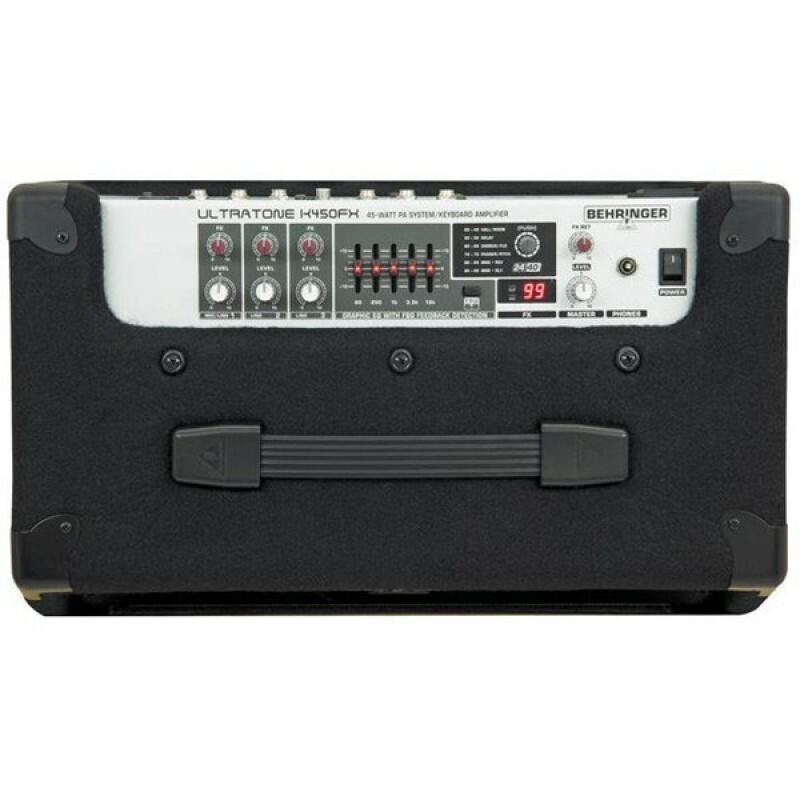 The K450FX also features an integrated 35 mm pole socket for stand mounting and a Line Output for connecting to the house mixing board, or to your favorite recording device. Yamaha DBR12 12" 2-way Powered LoudspeakerThe DBR12 represents a perfect balance of size and performance, with 1000W of power and outstanding resolution at any output level. Ideal for front-of-house, floor monitoring applications or even the stage side fills, the DBR12 is an ideal choice for a wide ..
Marshall MG100HCFX 100-watt 4-channel Head with EffectsWhether you’re recording in the studio or performing on stage, the MG100HCFX provides the sound you need to stand out from the crowd. 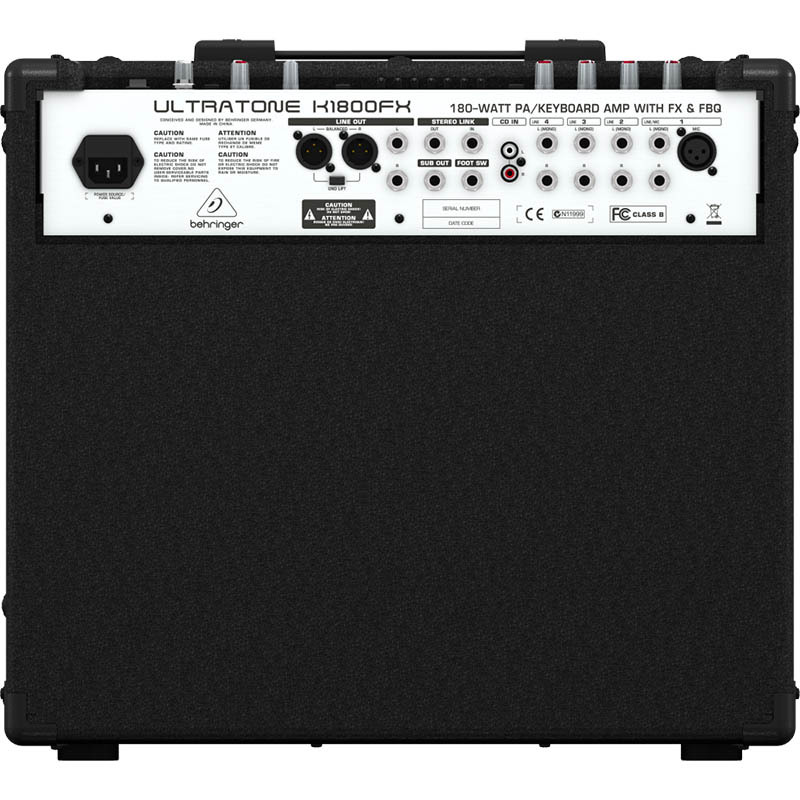 This 100W combo boasts a range of tonal options including four channels and a gain control, so you can explore ..
TOA ZA-2120 (120 Watt) AmplifierHigh cost-performanceSuitable for commercial audio systems in schools, offices, shops, restaurants, factories, houses of worship, and large meeting rooms.Equipped with balanced mic. inputs for better isolation from external noise, compared to unbalanced inputs. Improv..
Amplifier Gitar Behringer Virtube VT50FXBehringer Virtube VT50FX 60W 1x12 gitar combo amp memiliki kontrol Bass dan Treble pada saluran Clean dan EQ 3-band khusus, ditambah kontrol Kontur pada saluran Overdrive. 16 efek digital onboard saat menyalakan / mematikan melalui footswitch yang disertakan, ..